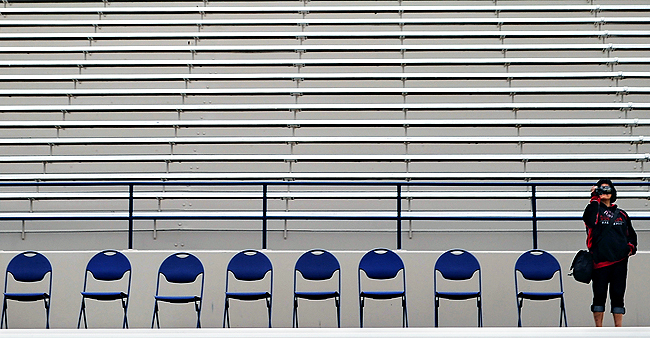 "A spectator attempts to capture the moment from the grandstands on the final day of BYU spring football practice at Lavell Edwards Stadium on the campus of BYU, Saturday, April 10, 2010." 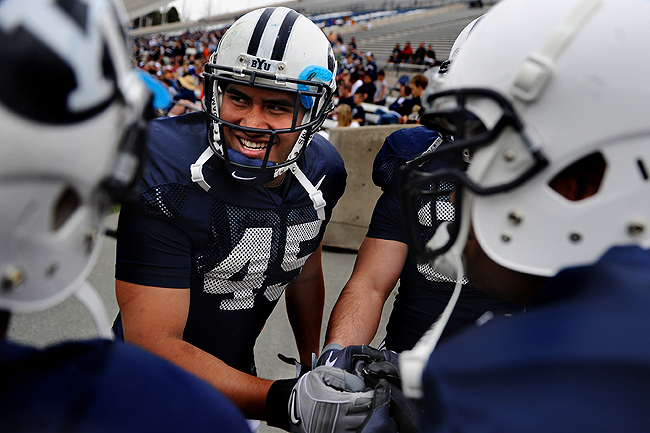 Who would have thought student-athlete-football player Harvey Unga would announce his decided to withdraw from BYU? Who would have thought this picture I shot of him on the last day of spring practice would possibly be the last of him in a BYU uniform? I don't think anyone was expecting it. 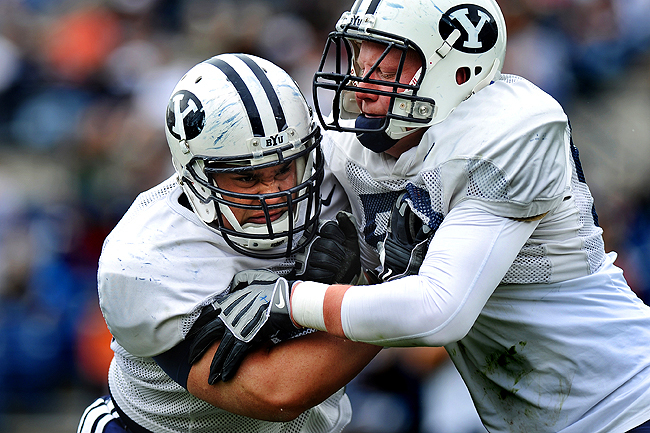 But he made the decision to withdraw as a result of a violation of the BYU honor code. Unga, a 6-foot, 237-pound running back, is the school’s all-time leading rusher with 3,455 yards gained over his first three seasons in the Cougar backfield. He led the Mountain West Conference in rushing last year while garnering first-team All-MWC honors after a third consecutive 1,000-yard season. Not really sure I completely understand this "honor code" but from what I am told, many students follow it and it has a more or less a tattle-tale form of regulating. You see someone breaking it, you rat them out. So who knows what happen in this case. Alas, I thought this picture from practice was ironic. A way of saying, all eyes are on you. All the time. Don't break the rules.